As fingerlings, American Eels once traveled up the Swatara Creek to live out their lives, then return to the Sargaso Sea to spawn. Dams interrupted the migration, but dams with no purpose were removed. Remaining dams for water supply added fish ladders. Something’s working. Fishermen are spotting more Eeels in the Swatara. 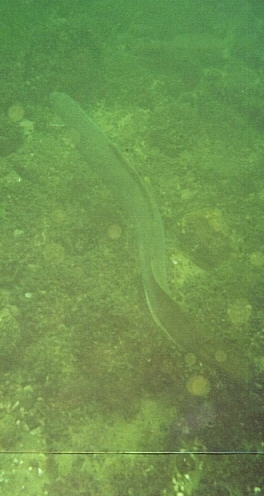 Historically, American Eels were a staple for pioneers of the Swatara Valley. You could find huts built across small creeks. Fishermen stood inside watching for Eels swimming past, and would spear and flip them into the hut. The Eels were smoked for meat all year round.